As an iPhone owner, I’ve pretty much got my ear to the ground on most of the hotter apps out there. I’m a total lemming when it comes to using apps I find on LifeHacker or the Consumerist (especially if they’re free). Needless to say, after almost a year of having an iPhone 3G, I have almost seven pages of apps of which I maybe use a small percentage on a daily basis. One of the most awesome aspects of the iPhone are the game apps. I love games. I’ve been a gamer since the Atari 2600, and a fan of handheld gaming since the original Nintendo GameBoy (which by comparison to today’s handheld platforms, was the size of a huge brick). 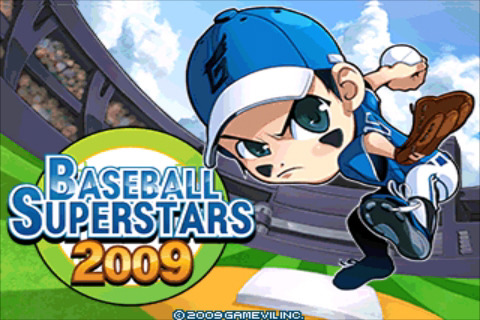 Now that I’m done flashing my gamer street cred, I want to use my time to talk about GAMEVIL, Inc’s iPhone game, Baseball Superstars 2009.
Who here remembers Baseball Stars on the NES? I actually didn’t discover it until later in life, but I had a lot of fun creating my own baseball team with the names of my friends and some fictional characters I was enamored with at the time. It was a crazy game with power-ups and the ability to launch the long-ball with ease. Baseball Superstars 2009 takes that kind of fun and puts right on the iPhone for easy carrying. I find myself playing this game pretty much all the time whenever I’ve got it. I play it while waiting in line for food, or before I go to bed, if I’m stuck in traffic and I’m not moving an inch… I love it! As this game has no license with the MLBPA or the MLB, it uses a complete fictional league with fictional teams and players. You create two players, a pitcher and a batter to use within the league and you can assign them to the same team or different teams. If you want to stand out on a team with awful pitching, assign your pitcher to that team. If you want to stand out on a team with crappy bats, then your batter will flourish there. As you run through the Pennant Race mode, you can earn money every year you run it, and buff up your player. Batters are far easier to level up than pitchers, as batters have 3 categories (hit determines how often you’ll actually make contact with the ball, power determines how far you’ll hit it, speed determines how fast you are on the base paths) to modify, while pitchers have 5! 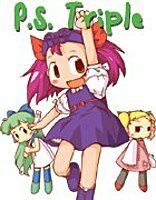 Both types are subject to stamina, popularity ratings, and morale. Lower morale (losing a lot of games) will result in your meager stats decreasing a lot. In the beginning, you’ll lose almost all your games because your little guy is as crappy as his team. As time goes on and you can equip better stuff (helmet for your hit stat, bat for your power stat, shoes for your speed stat) to boost your states without having to train in them. Don't let the cute designs fool you. Graphically, what it reminds me of is an updated and far more customizable edition of the old Nintendo Baseball game for the NES. 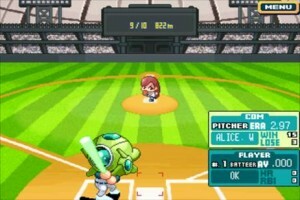 Super-Deformed players on the field with set distances that determine what kind of hit you make. Singles were all I could hope for in the beginning, but over time as my little guy got stronger and faster, I was hitting home runs and triples with regularity. Another aspect of the game beyond training and buying equipment are Events. Events are very cool. You can send your guy on a date to boost his morale at first, but as you gain popularity (by winning games, making hits, and knocking in RBIs), more Events become available to you. The highest is handing out autographs at a sports shop, which only boosts your popularity more. I’m not sure exactly why you’d need more if you’ve already made to the top of the ladder, but whatever. For the tl;dr crowd: The short version is that this game rules for all fans of baseball games and has a high replayvalue for what you pay for.